Synopsis: A mysterious island. An abandoned orphanage. And a strange collection of very curious photographs. It all waits to be discovered in "Miss Peregrine's Home for Peculiar Children", an unforgettable novel that mixes fiction and photography in a thrilling reading experience. As our story opens, a horrific family tragedy sets sixteen-year-old Jacob journeying to a remote island off the coast of Wales, where he discovers the crumbling ruins of Miss Peregrine's Home for Peculiar Children. As Jacob explores its abandoned bedrooms and hallways, it becomes clear that the children who once lived here - one of whom was his own grandfather - were more than just peculiar. They may have been dangerous. They may have been quarantined on a desolate island for good reason. And somehow - impossible though it seems - they may still be alive. A spine-tingling fantasy illustrated with haunting vintage photography, "Miss Peregrine's Home for Peculiar Children" will delight adults, teens, and anyone who relishes an adventure in the shadows. Would you believe your grandfather if he told you stories of children with supernatural powers? Or would you just dismiss them as fairy tales? For Jacob, this is a very real choice, and in an attempt to understand his grandfather, he visits the Welsh island of his upbringing… only to find more than he bargained with. How do you write a review about a book that leaves you aimlessly wondering the story even after the last page has been turned? Miss Peregrine’s Home for Peculiar Children is such a novel- one that imparts great enjoyment with a certain surreal reading experience that leaves us with lingering moments. 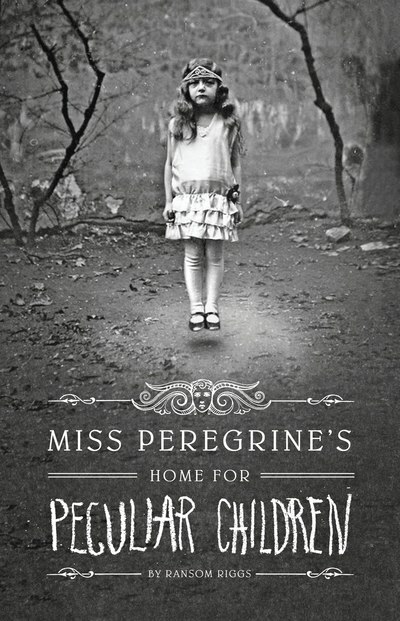 First, it must be said that Miss Peregrine’s Home for Peculiar Children is an extraordinary novel, not least for the fact that Ransom Riggs has woven the story around 40-odd quirky authentic vintage photographs, each of which deepens the mystique of the novel and brings both the characters and story to life. Much like a picture book, the photographs back up the story, but the words are what brings the plot to life in a most unusual way, leaving behind first impressions of a stale horror/mystery novel and becoming so much more. It is not often that a novel comes around where it is hard to pick away at it and formulate a review, but Miss Peregrine’s Home for Peculiar Children is one of the few where each component of the novel works together to effortlessly create a truly spell-binding read. Told from the perspective of a young American teen Jacob, the story soon takes the backdrop of a dull Welsh island, as well as a heaven-like sanctuary on the same island in the 1940s. The combination of time periods and perspectives leaves an intriguing mark on the story; with both American and British slang and a surprisingly accurate rendition of British life (complete with bad weather and binge drinking) becoming the firm foundation of an otherwise peculiar (excuse the pun) plot. There is a tender, not wholly unexpected romance between Jacob and Emma, and unlike most modern YA literature their relationship doesn’t take over the story and they aren’t snogging for half the book. Riggs pulls it off perfectly, and it is sweet and heartwarming to see, as are the (non-romantic) relationships between all the characters. 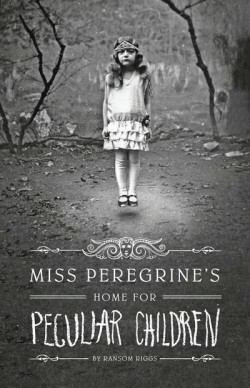 Miss Peregrine’s Home for Peculiar Children is a wonderful novel and most definitely the sum of its parts. Though it may not be as dark as the cover suggests, it is a wholly enjoyable read, an amalgamation of fantasy, historical fiction, and coming of age stories. The photos that accompany the novel are a wonderful addition and show the extent of Rigg’s dedication to Miss Peregrine’s Home for Peculiar Children. Definitely worth reading whatever age you are. What did you think about Miss Peregrine’s Home for Peculiar Children? This sounds very intriguing,I want to read it! Do you know what the moral or what is trying to be proved in this story? please tell me as soon as you can. it’s been too longs since I’ve read the book but even if I had, my interpretation of the novel might be different from yours and I could take a different moral from the story than you.